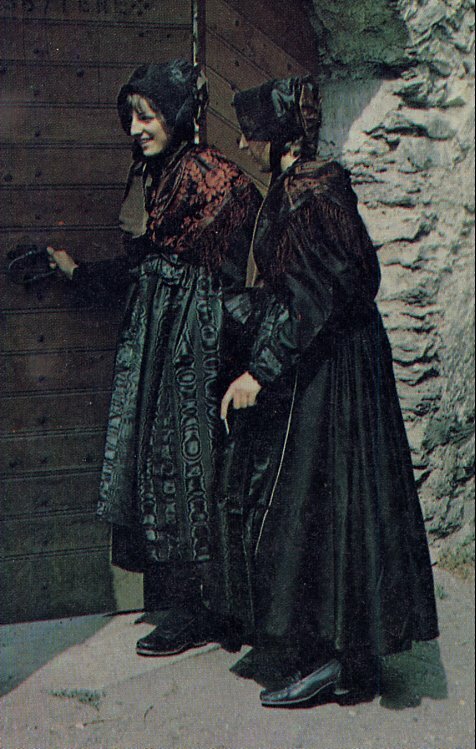 Today I am going to continue my series on the costumes of Savoy. I gave an introduction to the history and language of the region in the first posting of this series. 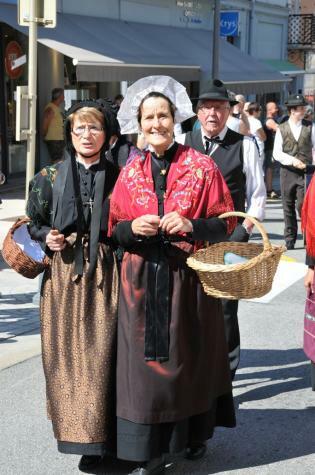 In this posting I will cover the costume of the region of Maurienne. 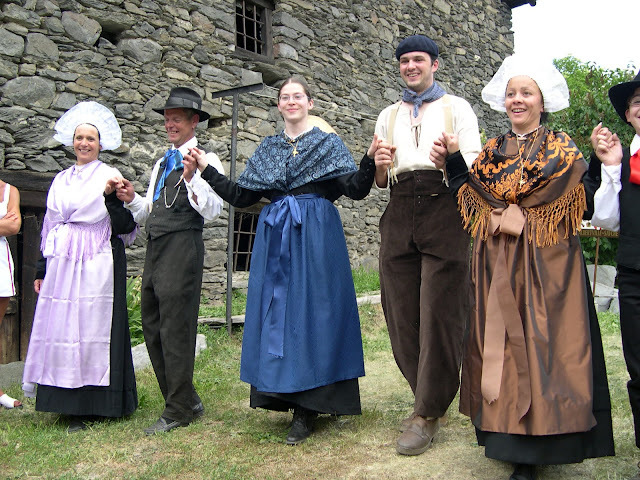 This is the southernmost of the regions of Savoy, consisting of the valley of the river Arc and its tributaries, most notably, from the point of view of folklore, the Arvan, the Villard and the Bugeon. It is shown in purple on this map. It borders Italy on the east, Tarentaise on the north, and Dauphine on the southwest. Here is a map in more detail showing many of the towns and villages of the valley. 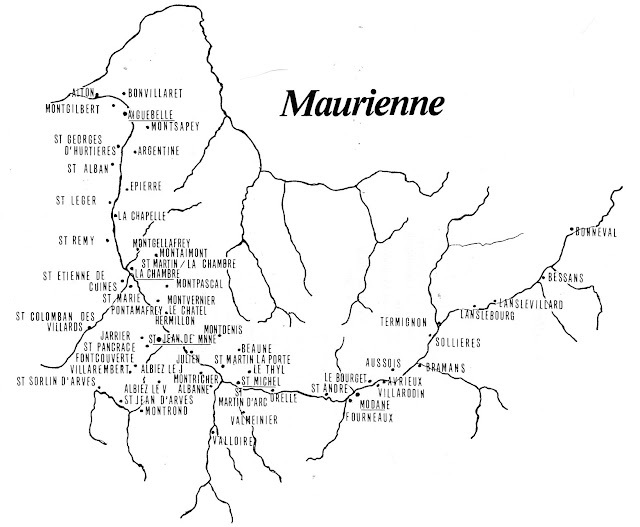 The river shown at the top is the Isere, and does not form part of Maurienne. 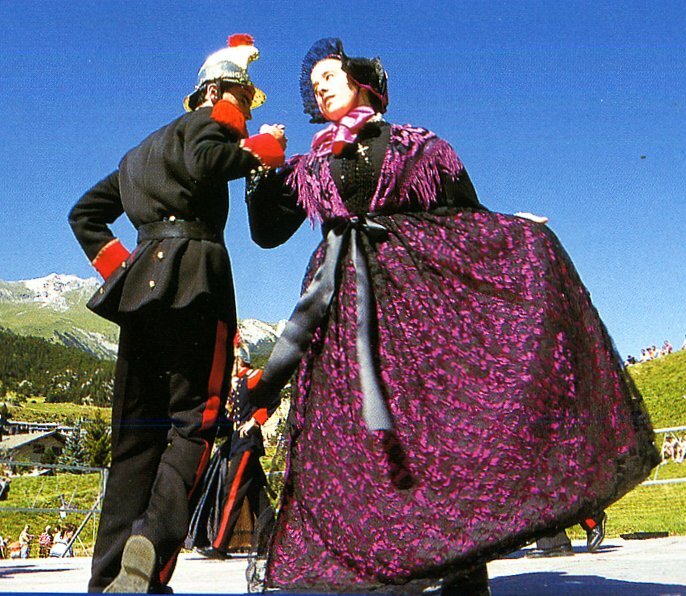 This area is in the western end of the Alps. From the point of view of folklore, and Folk Costume in particular, Maurienne may be divided into 7 parts. I have very little information about some of them, but I will present what I have, starting at the source and working my way more or less downstream. 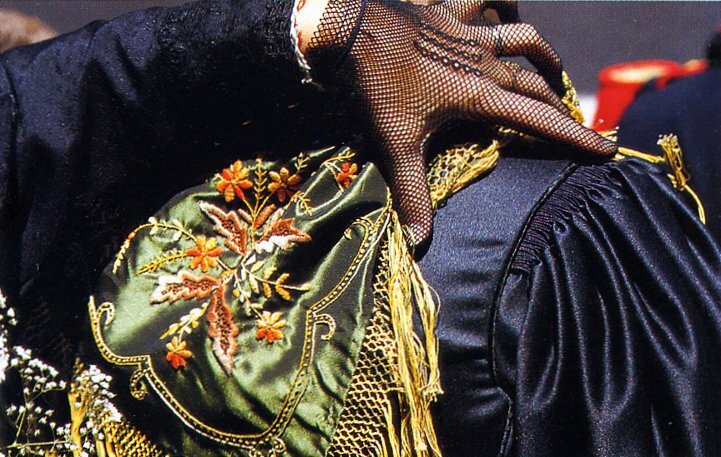 The first two areas are covered in this posting. 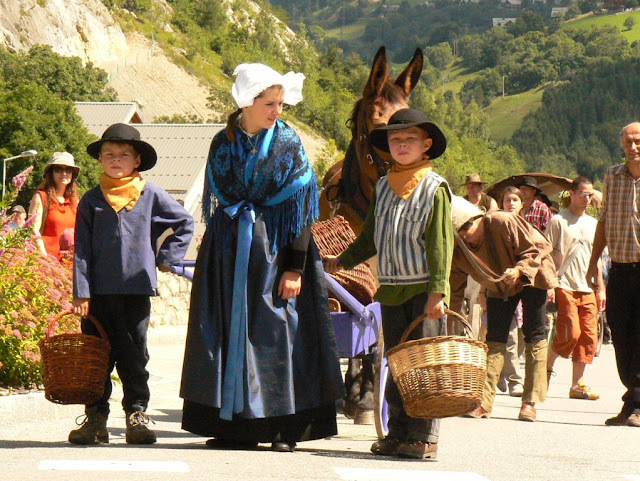 Upper or Haute Maurienne extends from the head of the valley down to the town of Modane, roughly the eastern third of the valley. This area is quite rugged, and much of it is mountains. 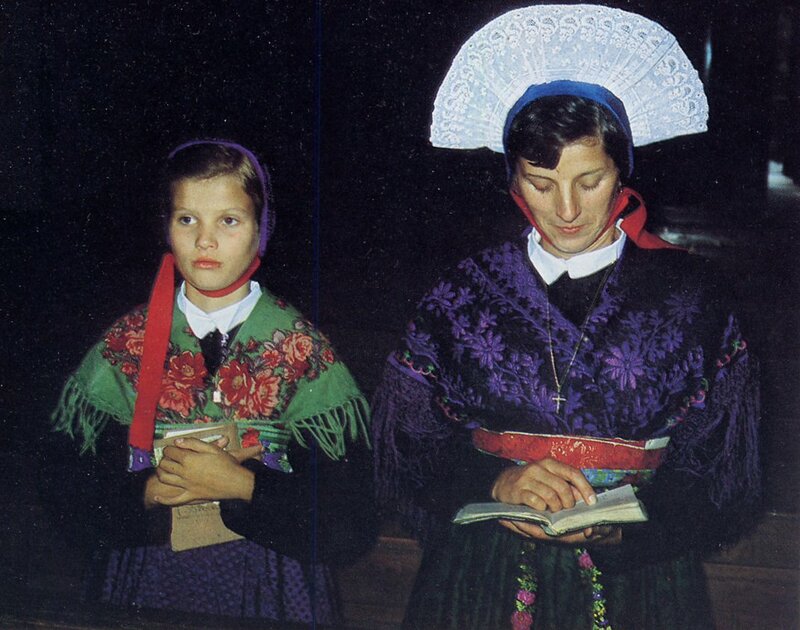 Two communities which are known for their costume are Bessans and Bramant. 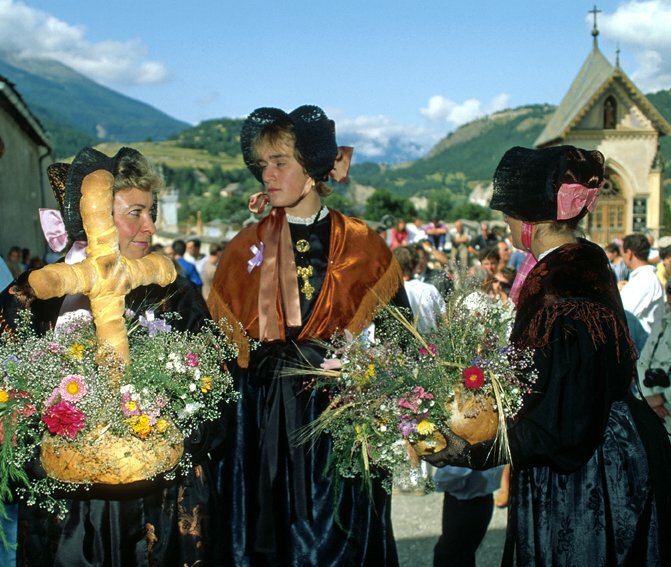 The image at the top of this posting shows women in the costume of Upper Maurienne on the feast of the blessing of bread, which takes place in August. 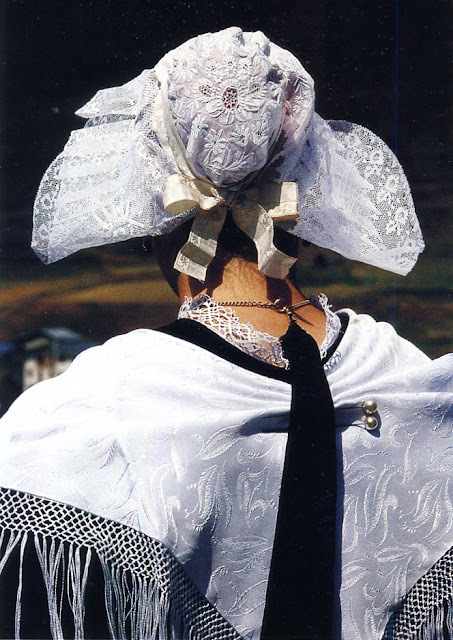 The coifs in Maurienne are either white or black. 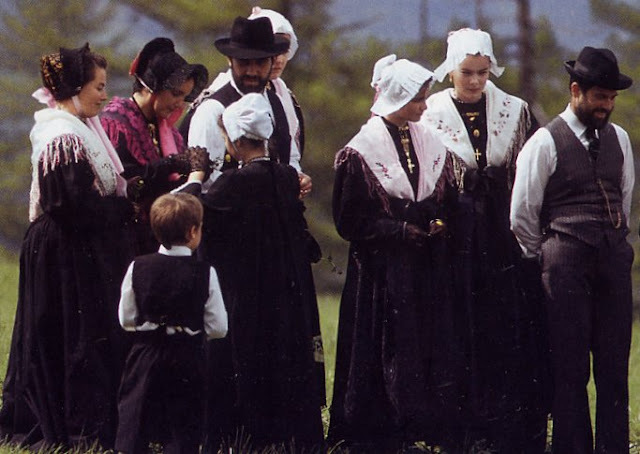 In this image you can see the typical black coif of Upper Maurienne. 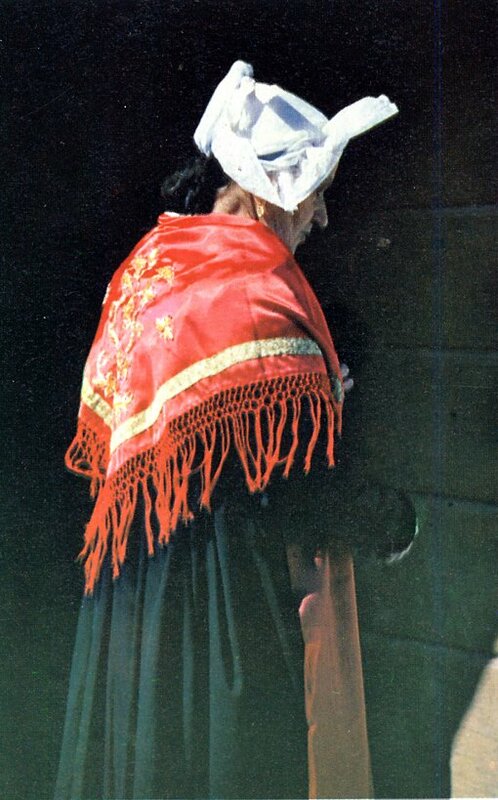 There are often small differences from one community to another. 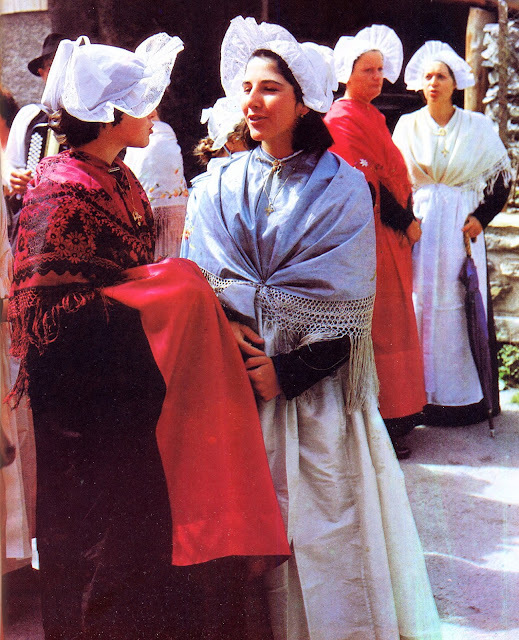 Different coifs may be worn by people in the same village. In upper Maurienne, especially in Bessans and Bramant, the black coif is worn except by young women on particular feast days. 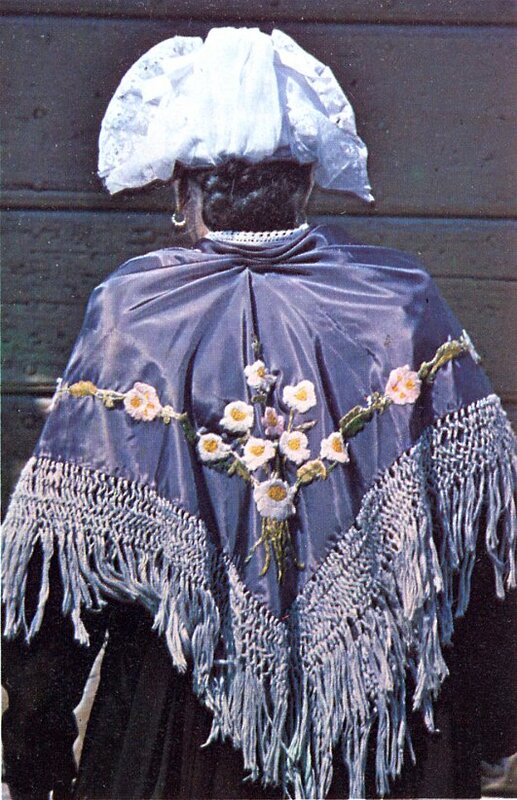 Here is the white coif, called 'eskeuffia' worn in this area. 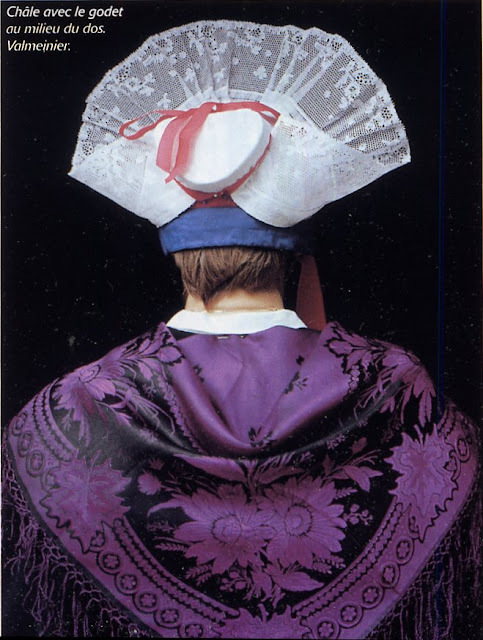 And in other communities it stands up, forming a sort of halo, as in Bessans. 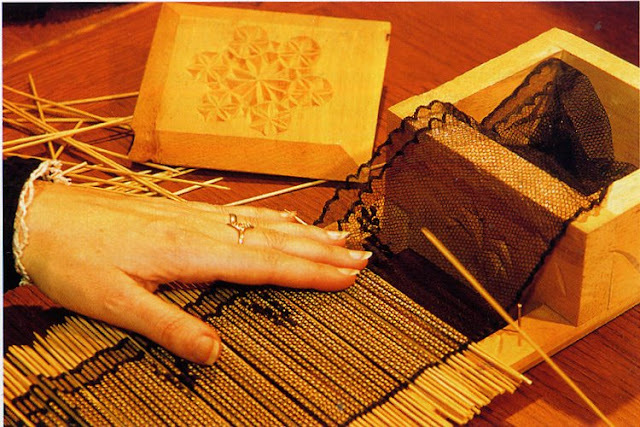 The lace is ruched and starched by hand with the aid of many dowels. 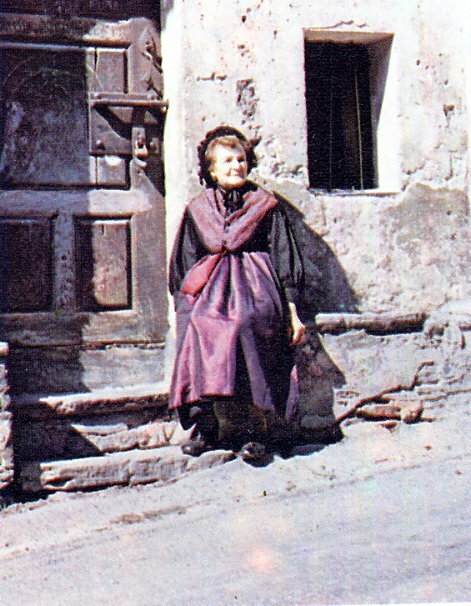 The rest of the costume consists of a dress, usually black, of silk or wool with a full gathered skirt and gathered sleeves. 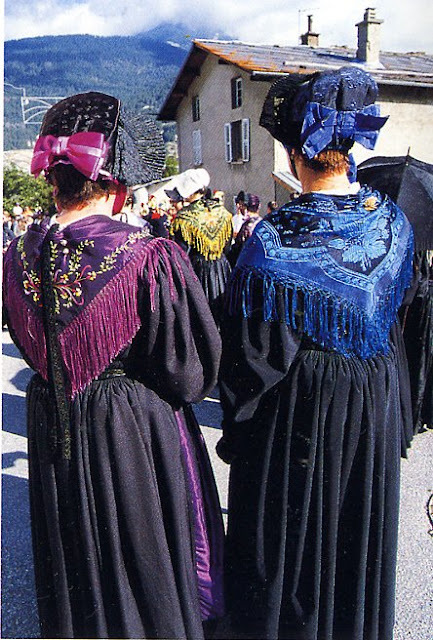 The dress is very similar all over Maurienne, except in the Arvan and Villard valleys. Black lace plastrons may be pinned to the front. Over this is worn a rich silk apron, a shawl pinned on the shoulder, a cross, and in this region, a large ribbon tied around the waist and hanging in front. 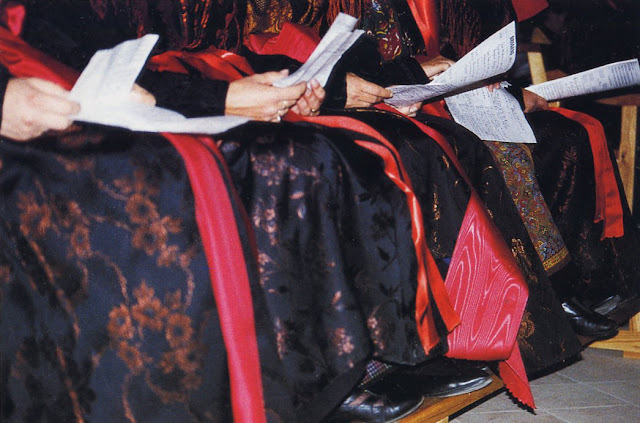 The shawl, apron and ribbon may be in different colors, often matching the Liturgical colors of a feastday. 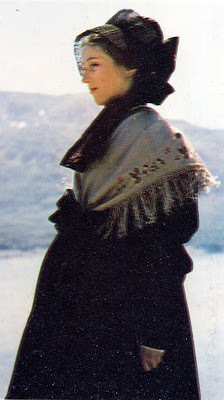 The exact way of pinning the shawl may vary according to the individual community. On some holidays the men wear uniforms which were given to the people of the valley by Napoleon, other times they wear an outfit very typical of the western Alps. Proper foundation garments, as always, must be worn. 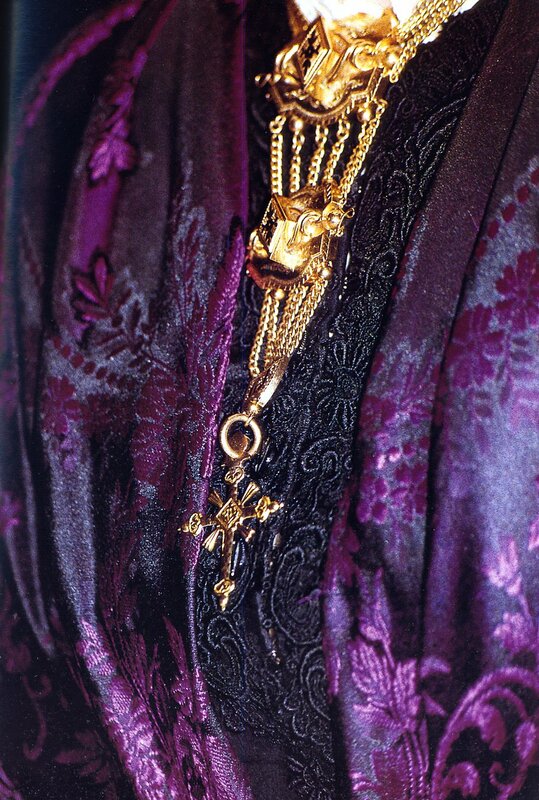 The gold cross is an obligatory part of this costume as well. 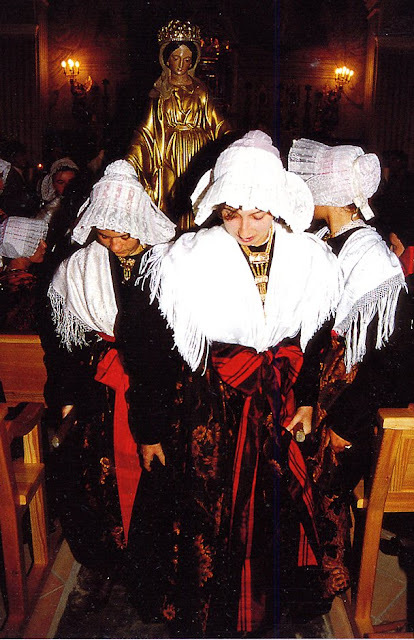 This is the area just downstream from Upper Marienne, and includes, besides Saint-Michel, Saint Martin and three towns with well known costume traditions, Orelle, Valmeinier, and Valloire. This image just above shows a woman from Orelle on the left, and one from Valmeinier on the right. 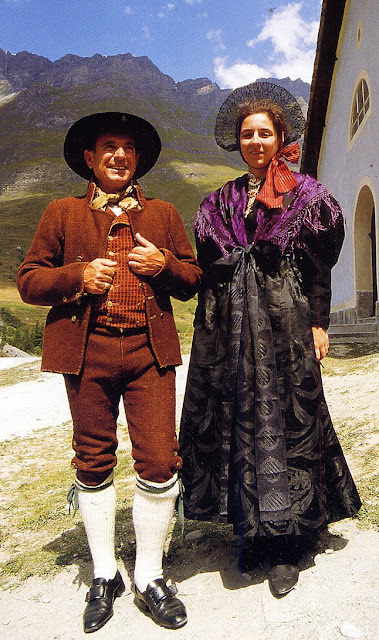 Here is the costume of Valloire. 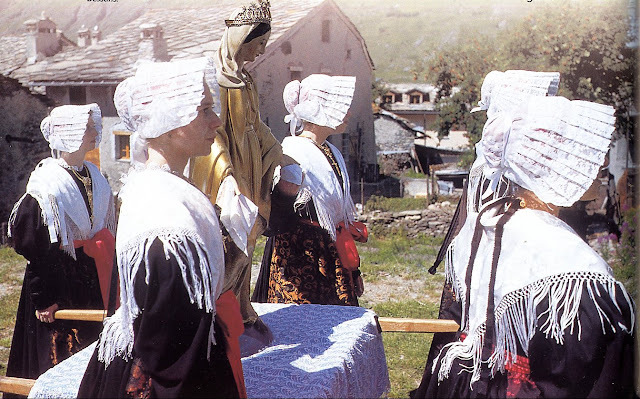 The costume of Orelle, similar to that of other towns in the vicinity in the main valley is known for a black coif called the round bonnet, or bonnet rond, which is also found in communities along the Arc further downstream. 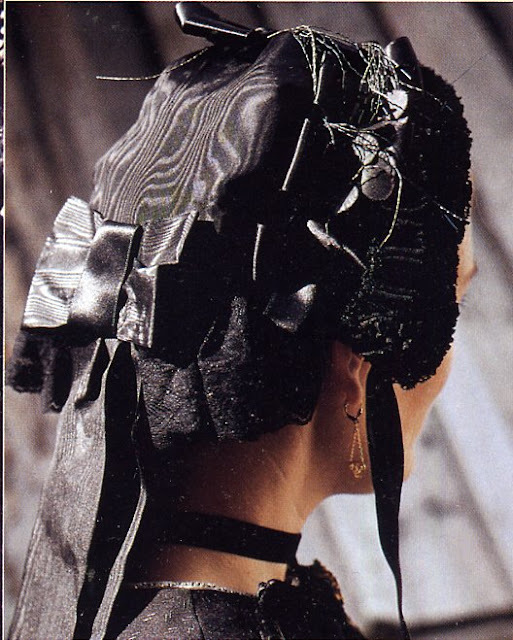 It is a confection of tulle, lace, ribbons, silk rosettes and streaming ribbons, all in black. 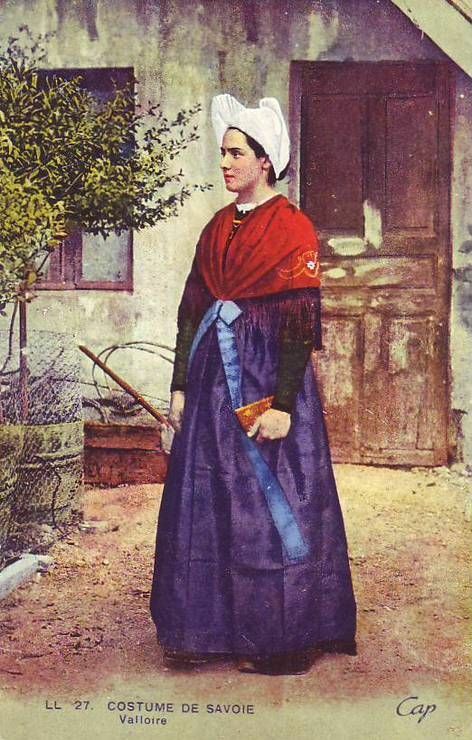 Otherwise, this costume is very much like that of Upper Maurienne. 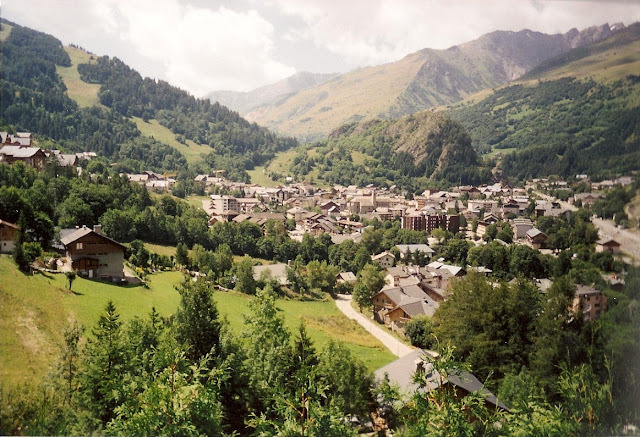 Vallmeinier and Valloire lie in two adjacent valleys to the south of the main valley of Maurienne. Valloire lies in the valley of the Valloirette, and Valmeinier in the valley of the Neuvache. 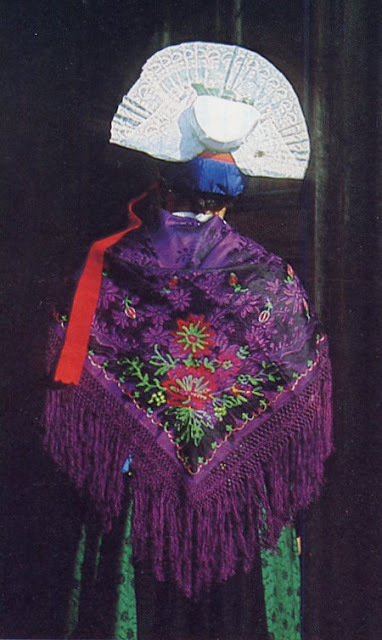 The costume of these two communities is very similar, the two coifs, although similar in general are different in detail. Both are white and form an aureole around the head, that of Valloire sits further forward, while that of Valmeinier allows some of the hair to show. The costume of Valloire is further distinguished in that the shawl is pinned under the neck so that the dress does not show. The costume of Valmeinier has the costume pinned more normally. 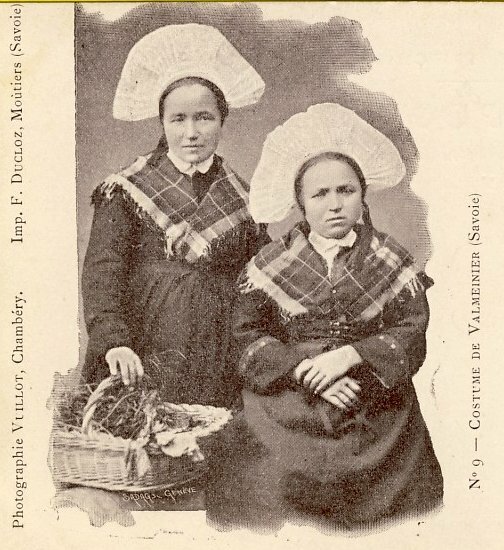 In Vameinier, a cloth belt the ceinture is worn over the shawl, this is absent in Valloire.A note here that girls in general do not wear the adult coif but rather a simple bonnet which resembles the daily headwear of women. 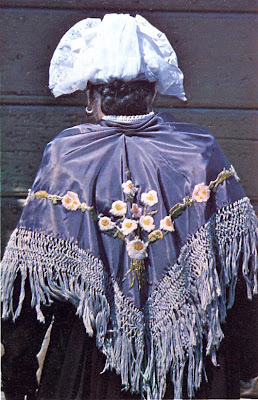 except that yes, the ornaments are made of silk, the basic construction is a round piece of cloth gathered around the edges, there are usually three rows of lace or tulle ruched and sewn around the edge, and individual caps vary as to the ornament applied to them. 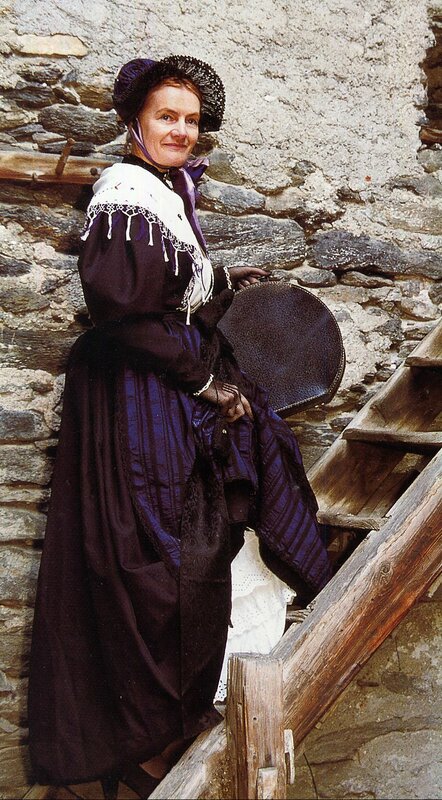 It is not limited to the town of Orelle, but is also found in the towns of the main valley downstream from Orelle. 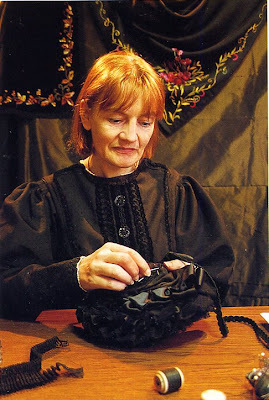 It is made by specialized seamstresses. 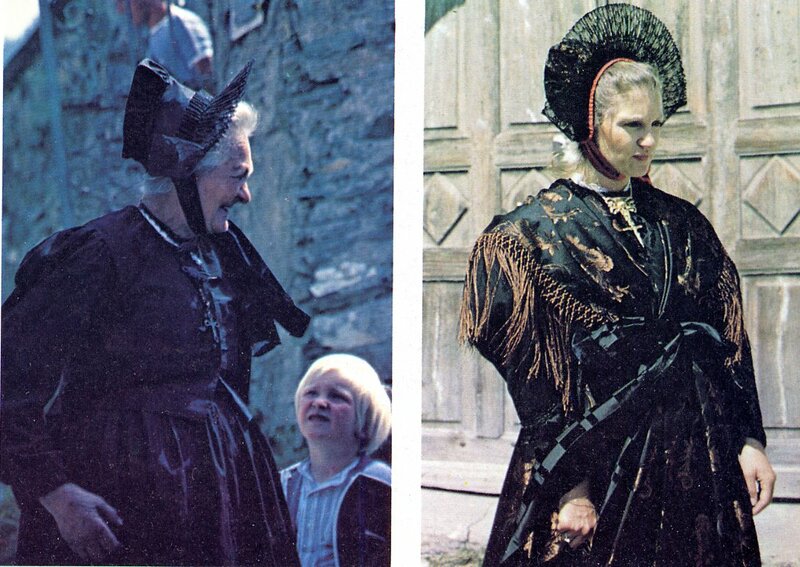 Thank you for sharing these gorgeous photos and the information as well. 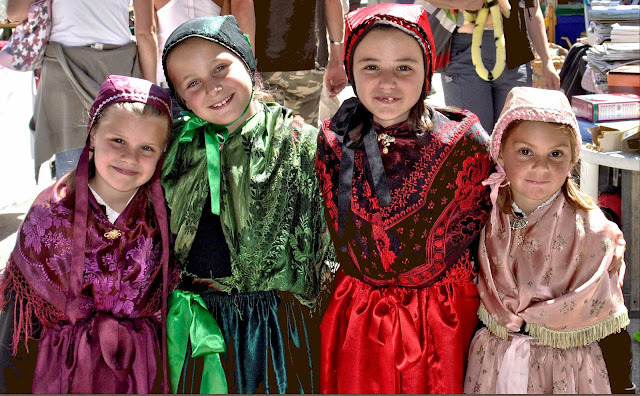 Really stunning examples of the beauty of folk dress!